If you are looking to drive traffic to your site then there are 2 main ways to do it and you really must cover both bases. The first is that you need to optimize your site for SEO making sure that your site is mobile friendly. You need a good UX. And secondly, you need to use some of the social sites that can really be useful for sending traffic to your site. Reddit is one such site that will help you boost your site’s traffic along with Quora and Pinterest. This article though will focus on how to drive traffic to your site with Reddit and give you some ideas on how you can use Reddit more effectively. It can be hard to get consistent traffic to your website and it can be even harder to try and figure out how to get traffic. With that being said, keep reading for some very effective strategies that you can use to drive traffic to your site with Reddit. For starters, make sure you choose the right sub-Reddit. Choosing the right one will help ensure that people relevant to your niche will see your posts and content. There’s also the chance that other Redditors will get upset or annoyed if you post in a sub-Reddit that has nothing to do with your post. The best way to find the best sub-Reddit is to search the term or subject of what you’ll be posting about. This will bring up many different sub-Reddits and you can choose from there. Make sure you go into the actual sub-Reddits you’re interested in to see things like a number of people, posts and whether or not it’s active. If there isn’t too much activity or if it’s a very small group of people, you’ll probably get better results from a different one. You also don’t want a subreddit that is so populated that your submission is buried under an avalanche of newly created content. Keep in mind, you can choose more than one sub-Reddit to use if you’d like. One of the biggest things you need to do is make sure you’re actively participating. This includes writing your own posts, replying to other people’s posts, up voting and down voting. This will get you known with the Reddit community and you won’t be just another stranger posting random things. While you can post on any topic you see, make sure the majority of your activity is done on the sub-Reddits that have to do with your content and niche. The more active you are and the more posts you interact with, the higher the chance that other Redditors will form a relationship with you and they’ll be more likely to check out your services once you actually start posting about them. Let’s face it, Redditors don’t want to see an advertisement from people that haven’t been active at all. This one is an obvious strategy, but it still needs to be looked at. You want to make sure you’re posting relevant content, both about your niche or subject and about the sub-Reddit you’re on. For instance, you don’t want to post something about writing on a sub-Reddit that’s about pets. Not only will other Redditors let you know that it’s not the right place, but there’s a chance that your post will get deleted. This is even more true for those people who continuously post on the wrong sub-Reddits. The best thing to do if you don’t know if the post belongs in that particular sub-Reddit is to either not post at all or see what other topics might be closer to the content of your post. This will keep everyone happy and give a higher chance of your posts being seen. This is a great strategy if you aren’t quite sure where to begin. Go into a relevant sub-Reddit and take a look at the current topics being posted and discussed. Make note of what these posts say and what the most important parts of the post are. There are a few things you should do from here. For starters, you should go ahead and post some replies and upvote or down vote. Not only should you post your own reply, but you should also reply to other Redditors. The other thing you should do after looking at these topics is to make a post of your own. You can either make it similar to others or you can take the important parts that you noted and make your own discussion. Make sure it is written well and in a way that invites people to join in on the discussion. But wait until you are known by a decent amount of people and you have had good interactions with members. There are mainly 2 ways you can post your link. The first one is just right out posting your website. This can be in your own post or it can be added to one of your replies on another post. The other way is to link it to whatever you’re writing. Again, this can be done by posting your own post or replying to someone else’s. The second option doesn’t come off as salesy or pushy as just outright posting your link. Regardless of which option you choose, make sure you post it in a way that’s classy and not like you’re just trying to sell something. You could also try hosting an AMA. An AMA, or “ask me anything”, can let other Redditors really get to know you. During these, they can ask you pretty much anything they’re wondering about things like your experience and services. There are so many questions that can be asked, so you want to be ready to answer anything. One thing to remember is that you want to make sure you reply to every question posted. This will show that you care and it will let people get a better understanding of who you are and what you’re offering. Make sure you’re polite and professional in your replies and don’t answer in a way that might make people feel like you’re acting like you’re better than them or like the AMA doesn’t matter to you and it’s not something you really want to be doing. Share for share is basically when you share another Redditors business information or anything that they want to promote and in exchange they share yours. Not only can this get you seen more, but your information will also be seen by all of the sharer’s followers. The first way is by adding the link to one of your normal posts. This will make it seen by all the people who frequently read your posts and follow you. The other way is by posting their information on your website. You’ll want to make a normal post and write about the person and explain what their services are. You can then either just keep it there or you can share your blog post to Reddit. Both ways will get you and the other person seen by at least a few new people. By doing this, both you and them will be able to share the things you’ve both learned. This can really increase how much you can make and how much work you get. This can also let you in on some tips and tricks that you might not have known or found out otherwise. Not only could these tips and tricks help you with your work, but it can save you quite a bit of time. You don’t want to put a lot of work and time into something, then find out that everything you were doing was a waste of time and there wasn’t really any point in it. Try and talk to as many people as you can and make as many connections as possible. Now that you know some of the things you should do, you should take a look at some of the things you shouldn’t do. These will help reduce the chances of Redditors reporting you and getting you banned. The first thing you have to be sure of is that you don’t over-promote if you want to drive traffic to your site with Reddit. It’s perfectly fine to promote your services and website but you don’t want to come off as someone who is desperate or kind of annoying or find yourself labelled a spammer. You can promote around 1 time a week or every 2 weeks. Anything more frequent is not going to get a good reception. 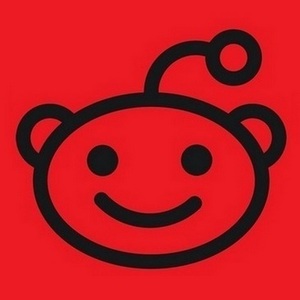 You also want to watch because too much promoting can get you banned by Reddit. They don’t like seeing people who make promotion posts every day or people who blatantly make posts that promote themselves. This is especially true if you’re only making posts for the sole purpose of advertising and not really interacting with other people or their posts. You also want to make sure that you don’t start promoting too early. The general rule of thumb is that you shouldn’t post any kind of promotional content until you’ve posted at least 10 or 12 good quality posts. You also want to make sure you have quite a bit of interaction, like commenting, downvoting and upvoting. For starters, starting to promote your business without having any other Redditors know who you are, means that you won’t get too many followers and you won’t get your name out there. The other big reason is that having your only posts about self-promotion can and probably will get you banned from Reddit. If this happens, you’ll have to start back over and there’s a chance you won’t be able to use Reddit at all. Another big don’t if you are looking to drive traffic to your site with Reddit is to avoid posting nonsense posts. There are some people out there who will make posts that are completely random or don’t actually have real words in them. The only thing that’s in these types of posts are the website links. These are made for the sole purpose of trying to get people to go to your website. You want to make sure that every single one of your posts is high-quality and has information that is helpful and interesting. You want to make sure that whatever you’re writing about is in the correct sub-Reddit and that it is relevant. This is true for any replies you post as well. The main thing here is that you want everything you do to be relevant and high-quality. Finally, you really do want to drive traffic to your site with Reddit then make sure that every post you write is in a sub-Reddit that it fits well into. For instance, if you’re writing about recipes, you don’t want to post it in a sub-Reddit for SEO optimization, that’s not going to get you any Reddit traffic to your site. Not only can this get you banned or your post deleted. It can also make people stop interacting with you because you aren’t posting the way you should be. If you aren’t sure if your post should go in a particular sub-Reddit, then make sure you put that in your post add in something like “I am not sure if this subReddit is te correct place for this post, apologies if not” and someone will probably advise you. Or try to find the sub-Reddit that’s the closest topic to what you’re writing about just by searching for it. This will get you a lot farther than posting wherever you want. As you can see, there are some pretty clear things you should and shouldn’t do if you are looking to drive traffic to your site with Reddit. You want to make sure you take these tips and adopt them. If you do you will get the traffic you’re looking for. For success, you need to really think about how you post and use Reddit effectively. If you still want more ideas on how to use Reddit then try searching the Reddit platform to see what the members recommend! So do you use Reddit? Do you have any of your own tips that will help drive traffic to your site with Reddit? Adrian Rubin is a 28-year-old Philadelphia native. He received his Masters in Creative Writing and Photography from the University of Arts in Philadelphia. Besides those things, he also enjoys other creative hobbies, such as travelling and humanitarian work. How do you drive traffic to your site with Reddit? How do you drive traffic ro your site with Reddit? 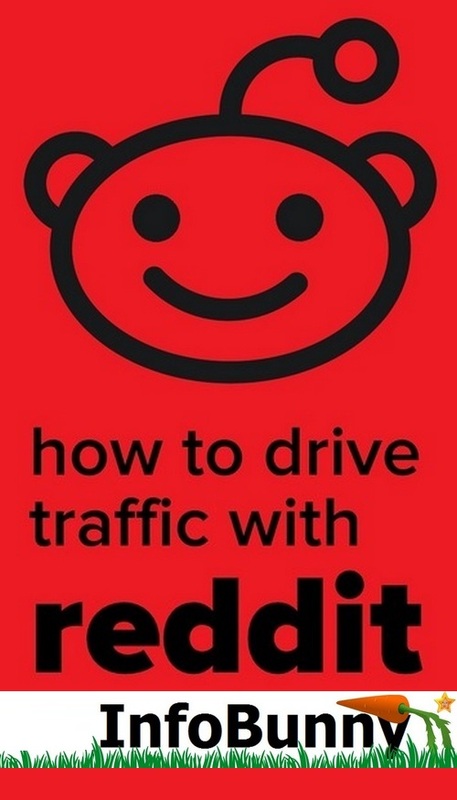 This article is all about generating Reddit Traffic. Follow these simple tips to get more traffic to your site. Thanks for posting. Let me know if there are any questions. Subscribe to the comments and your get the notifications. I have always loved reddit not for traffic but for things which we can’t easily find on internet. For marketing purpose i have few experiments in the past in which i picked latest trends and made an infographics for the specific topic. Posted it on reddit specific category as choosing right category is important and then audience made it for me. My infographic got published on some of the websites like bleachreport and designtaxi. Dexter Roona recently posted…How to use Hashtags on Instagram.